We’ve received quite a few letters asking what the little “Mode” button on the center console of the Cadillac ATS, CTS, and several other Cadillac models is all about. So, this is for all of you who were wondering. Called Driver Mode Control, the “MODE” button attempts to add a sportier feel, provide a more comfortable ride, or assist in different weather conditions or terrain. Changing the modes of the vehicle simultaneously changes the software calibration of its various sub-systems. Depending on the option package, available features, and mode selected, the suspension, steering, and powertrain will change calibrations to achieve the desired mode characteristics. And if the vehicle is equipped with MagneRide/Magnetic Ride Control, selecting the various Driver Modes also adjusts the ride of the vehicle to enhance the ride performance for the road conditions and the selected mode. Pressing the “MODE” button on the center console makes a mode selection. The first press of the button will show the current mode. Subsequent presses will scroll though the available modes. The Tour and Sport modes will feel similar on a smooth road. The differences between both modes are most felt during relaxed vs. more performance-oriented driving conditions. The default driver mode, use for normal city and highway driving to provide a smooth, soft ride. When selected, the Driver Information Center (DIC) will not show a driver mode setting. Use where road conditions or personal preference demand a more controlled response. When selected, the Sport mode indicator will display in the Driver Information Center (DIC). 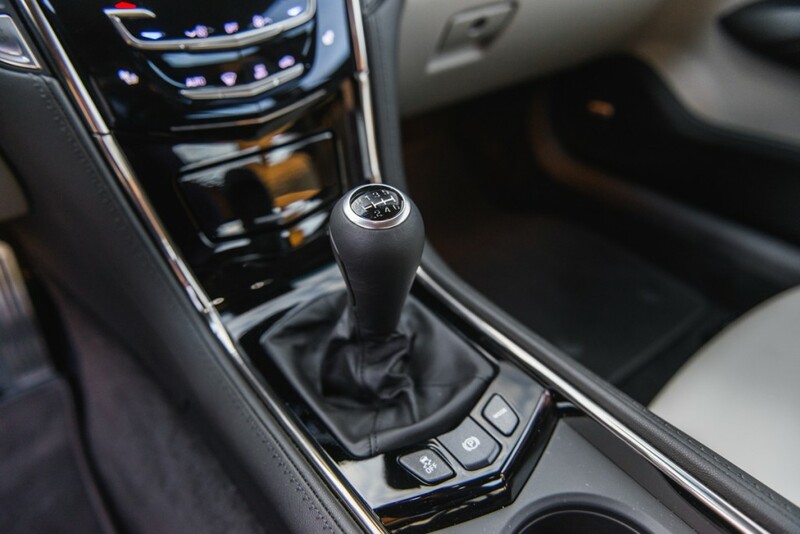 When in Sport mode, the vehicle will shift automatically but hold a lower gear longer than it would in the normal driving mode based on braking, throttle input, and vehicle lateral acceleration. The steering will change to provide more precise control. If the vehicle has MagneRide/Magnetic Ride Control, the suspension will change to provide better cornering performance. Use when more traction is needed during slippery conditions. The transmission will use 2 (Second) gear instead of 1 (First) gear when accelerating from a stop. The vehicle will upshift normally when the vehicle is moving. When selected, the Snow/Ice mode indicator will display in the DIC. This feature is not intended for use when the vehicle is stuck in sand, mud, ice, snow or gravel and is only available vehicles with automatic transmissions. I believe the driver mode controls are standard on all 2016 Camaros !! Cadillac will present the XT-5 in two days?? Love my ’13 ATS 2.0T but hate that button. Why? Unless you have all of the above equipment, I don’t think it does anything. I have a manual transmission and do NOT have the MagnaRide shocks. If there is a change in the steering, I certainly can’t feel it. Nonetheless, I have the Performance Trim so I do set it to sport anyway.. What I hate MOST is the fact that the ’13’s do not save the last setting entered. They updated the software for the ’14’s on, but refuse to add that to the software updates for the 2013’s so every time I start the car I have to reset that and my displays on the Driver’s Info Center. I have to push so many buttons and tap so many screens I feel like I’m launching the Space Shuttle. What is best about the sport mode is when selected, it eliminates the auto stop-start feature…Why we’d need an auto stop feature on a Cadillac is a mystery. If you cant afford the gas don’t get a performance luxury seda. The V’s have a track mode as well. And the Snow/Ice mode are available on the manual transmissions on the V as well.